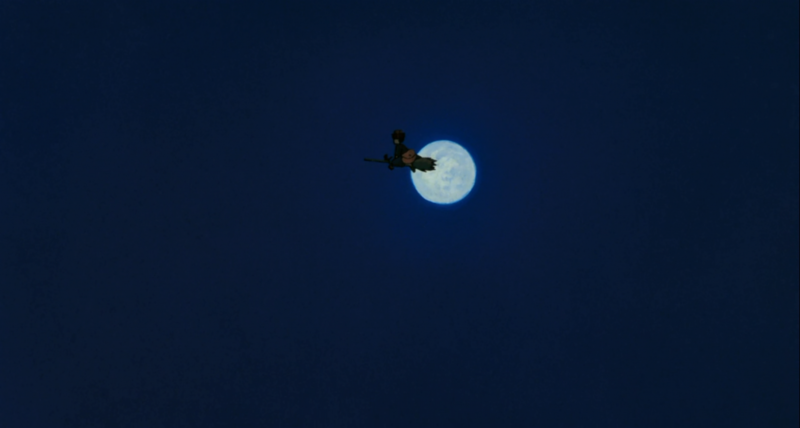 The more I think about it, the more I believe that Kiki’s Delivery Service might be my favorite Miyazaki film. This is considered somewhat of a minority opinion, as it’s usually the Big Five (Spirited Away, My Neighbor Totoro, Princess Mononoke, Castle in the Sky, or Porco Rosso) that make the top spot on fan-favorite lists. My love of it may have less to do with overall quality (though Kiki’s Delivery Service remains an excellent film) and more with my personal relationship to the film over the course of my life. I’d see the film again once every year or so on VHS, watching the English dub that, unlike the one for Totoro, actually holds up rather well. This tradition continued until I reached middle school, and it didn’t return until I was a senior in high school. By that time, I was dead set on having a career in the film industry, but as I was confronted with admission forms asking why I wanted to pursue my chosen career path, I started to feel like I might not be good enough. It was during this period that I rediscovered my old VHS of Kiki’s Delivery Service in a closet, and I found myself viewing the film in a whole new way. What I saw as a child was a story of Believing In Yourself™, the second most common moral in family film history (the first being Dreams Do Come True™). What I saw as a teenager was different: a story about the trials of independence, the cost of growing up, and the undying passion of doing something you love. In other words, it was the exact movie I needed then, and it still resonates with me today. Kiki’s Delivery Service is based on a popular 1985 young adult novel by Eiko Kadono about a 13-year-old witch who must leave home on a year-long pilgrimage and learn to live on her own in a big city. The witch in question is Kiki, who stumbles into the oceanside town of her dreams and lives in a bakery with her cat Jiji. 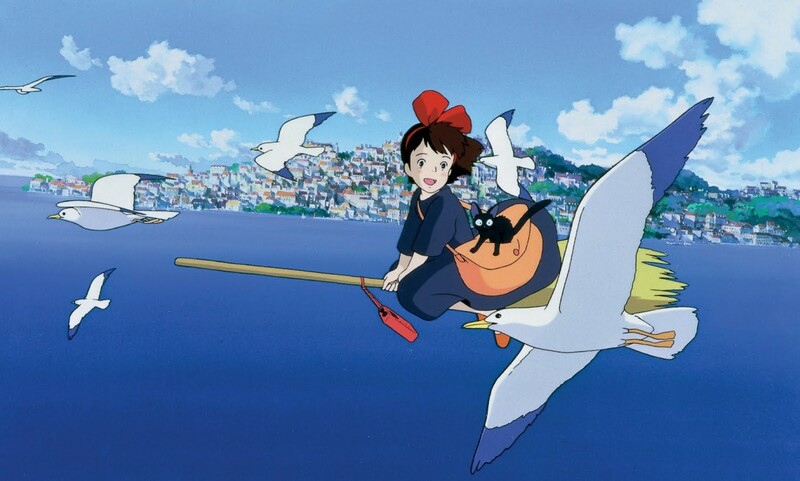 The two are forced to find a way to make a living on their own, and with Kiki’s only talent as a witch being flying on her broomstick, she starts a delivery service and finds herself. 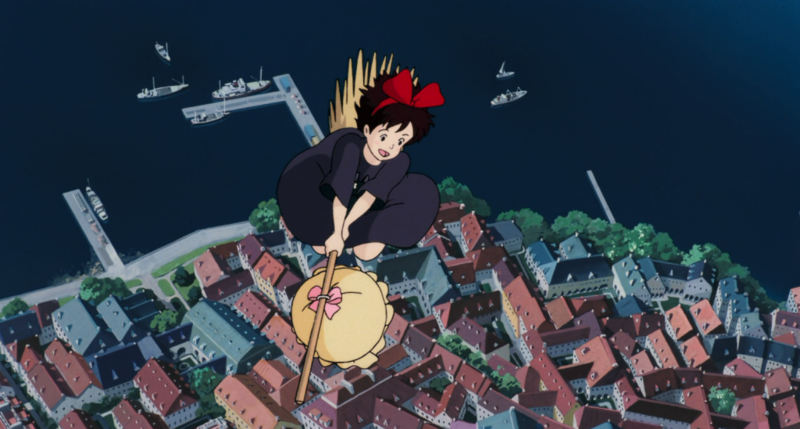 In a way, Kiki’s Delivery Service is far from Miyazaki’s most perfect film. It doesn’t quite have the subtlety of My Neighbor Totoro, the awe of Castle in the Sky, the maturity of Princess Mononoke, or the wonder of Spirited Away. However, Kiki contains a quality that very few films have: everything about it is nice (and I mean that as a compliment). 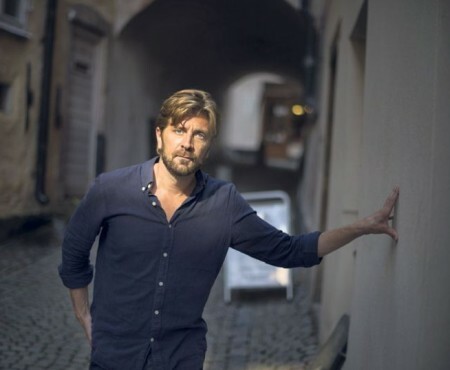 Almost all of its characters are nice people, the narrative is comprised almost entirely of those nice people doing nice things to each other, and the overall tone of the film is incredibly friendly and genial and nice in the best way possible. That doesn’t stop it from also containing humor and emotional conflict, and the melancholy that defined both My Neighbor Totoro and Grave of the Fireflies still lingers around Kiki as well. Miraculously, when an external conflict finally arrives in the film’s climax (complete with life-or-death stakes and disaster movie imagery), it doesn’t feel contrived (though coincidence does play a small role) and never overshadows the main internal conflict. Instead, it complements and caps off the emotional struggle in an efficient and visually stunning manner, all while retaining its niceness to the very end. 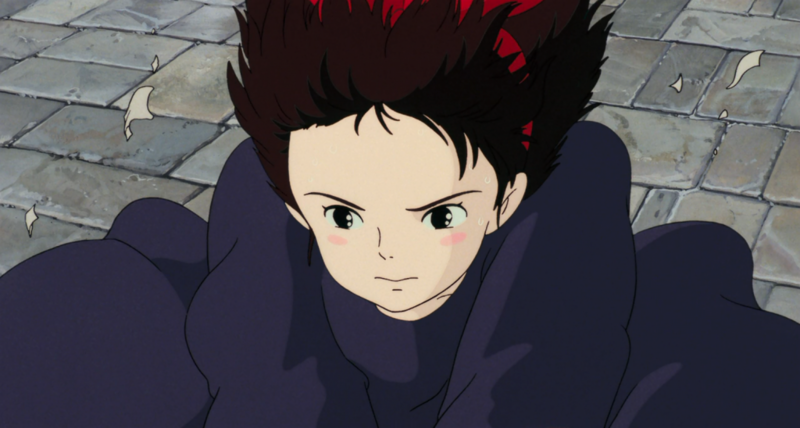 The driving force of the film is Kiki, who for my money is the best character in a Studio Ghibli movie. Forget about the fact that, like most of Miyazaki’s protagonists, she’s a strong female character who actually saves the men around her from certain doom. 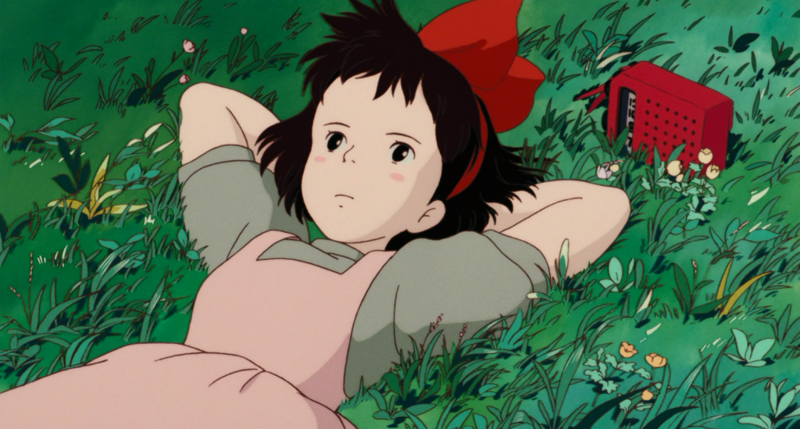 “Strong” female characters don’t necessarily make “great” female characters, and what makes Kiki so special is that she’s Miyazaki’s purest heroine, with all the flourishes and faults that come with that distinction. Perfectly voiced in the Japanese and American versions by Minami Takayama and then-child actress Kirsten Dunst, respectively, Kiki is a genuinely kind and thoughtful soul, always looking out for others and helping them even when they underappreciate or reject her services. That compassion eventually weighs down on her, however, and we see what can happen when you hold on to that trademark Miyazaki innocence without maturing in the process. 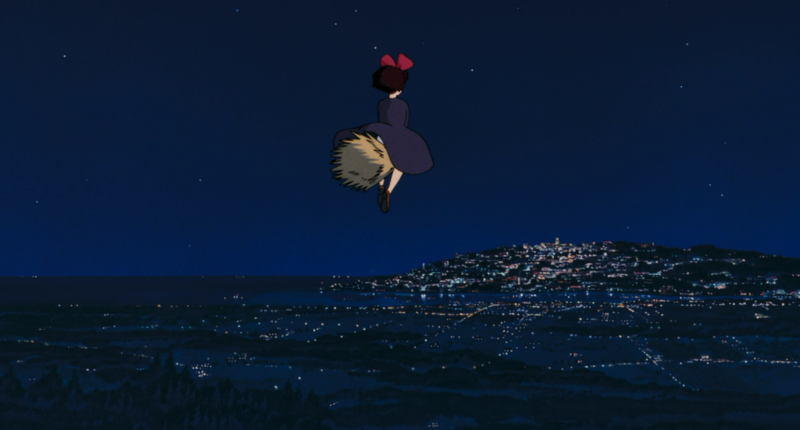 Kiki not only loses her confidence, she also finds herself losing her powers, unable to fly or talk to her cat; as in most of Miyazaki’s work, flight represents the purest form of freedom. Her loss of innocence is signified not just by her inability to understand Jiji, but also the breaking of her broom. The visual symbolism here is actually fairly subtle and unique for a Japanese film. Kiki’s broom is, to get a little Freudian, a very phallic object, and it not only represents how she’s just as capable than the various men of the film, but also her confidence and power. Kiki’s Delivery Service flips that Japanese logic on its head for something more Western. The broom acts as a phallus (your snickering is excused), and it’s Kiki’s most important tool as she subverts common female stereotypes. When a boy her age starts flirting with her, she angrily rejects him and flies away on her broom, keeping her masculine “phallus” on display and purposefully hiding her feminine side. This is in stark contrast to how she seems unable to make any friends her age. There are quite a few scenes in which Kiki is juxtaposed with other teenagers in town. They talk about boys and wear expensive clothing, but Kiki has to make a living all by herself, wearing only her simple black dress. The most feminine aspect of her appearance is her red bow, which also happens to visually be her primary feature. Game critic Yahtzee Croshaw once said that great character design is what would be instantly recognizable in a silhouette, and by that logic, Kiki’s ribbon (and, by extension, her womanhood) is her defining feature. The final thing worth noting about Kiki’s broom is that it was actually given to her by her mother. 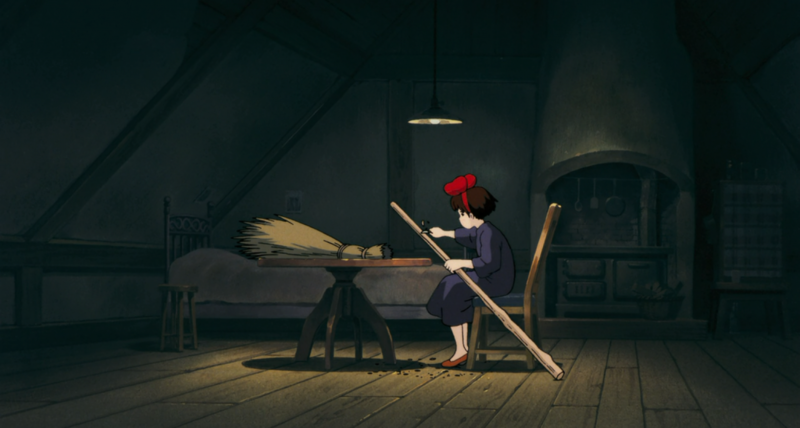 In the beginning of the film, Kiki plans on taking the tiny broom she made herself, but her mother forces her to take a larger, older broom instead. 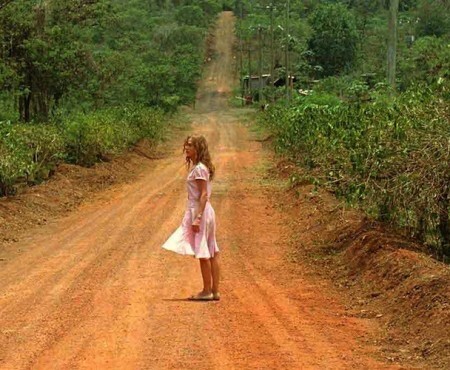 It and her cat are her main ties to her childhood, and both end up lost by the end of the film. The broom that represents her parental bond breaks, the talking cat that personifies her more childish side becomes unrecognizable, and Kiki eventually comes into her own as a woman and an individual. All of this imagery is in service of fairly traditional coming-of-age story beats, but Miyazaki’s filmmaking is intelligent. He revitalizes conventional tropes, using elegant imagery to say something substantial about growing up, and he even subverts gender stereotypes along the way. In the end, Kiki doesn’t let go of her innocence, she just uses it to see both the good parts of bad situations and vice versa. It’s also the story of my own personal growth. I’m not sure if Kiki’s Delivery Service will still be my favorite Miyazaki as I continue to grow older, but it will always hold a special place in my heart, not just as the nicest movie ever made, but as perhaps the definitive film of my youth. 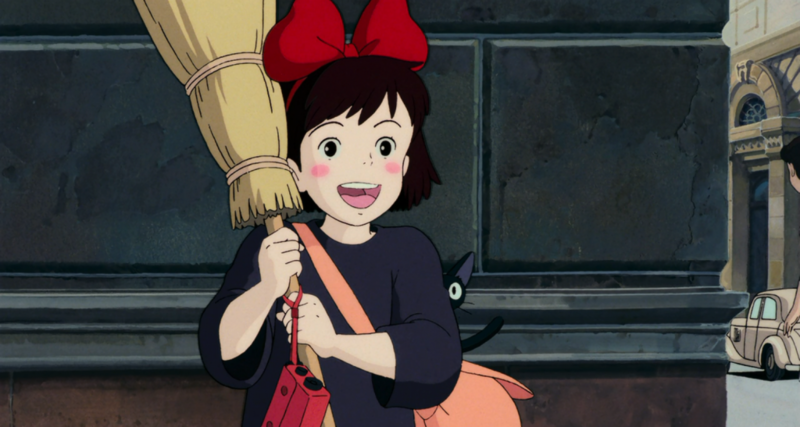 Though all of Studio Ghibli’s prior films were modest successes, Kiki’s Delivery Service was a milestone for the animation studio. It was their first true blockbuster, becoming the highest-grossing film in Japan in 1989 and also finding an audience overseas. The film’s popularity even extended to the novel it was based on, inspiring author Eiko Kadono to write many sequels about Kiki’s other exploits. Since then, it’s almost become a tradition for a Studio Ghibli film to overtake the Japanese box-office, with five of their later films becoming the highest-grossing of their respective years. One of those record-breakers is up next in the Retrospective, which is ironic considering it’s one of the company’s most underseen films by audiences outside Japan. Next time, we examine another female-centric coming-of-age film from director Isao Takahata: Only Yesterday. Love the reviews and because of them I’ll force myself (in a good way) to watch the ones I haven’t seen (which includes “Only Yesterday!”). I was wondering whether you’ll review the 1993 TV film “Ocean Waves?” I don’t think most people consider it a part of the Ghibli Canon, but I haven’t seen it so I’m not sure if it’s worth checking out or not. Good question! I’m actually not going to be including that one because a.) it’s VERY hard to find in the States, and b.) I’ve already got enough on my plate going through their feature film work, I can’t really bring myself to get to a very obscure and easy to miss TV film. I will see it eventually on my own, and if it so warrants it, I may write a bonus article about it, but for now the plan is to just do their feature work. That whole paragraph describing your desire to be in the film industry and following your dreams, etc. describes my feelings right now as well, being a college freshman who wants to do nothing else but be a director and a writer of film! While you had Kiki’s Delivery Service, I had the Wachowskis’ phenomenal and vastly underrated Speed Racer as the movie that has pushed me to keep going and be inspired, and it still remains my personal favorite movie. Reading your thoughts, I believe it’s time to brush off my own copy of Kiki’s Delivery Service and give it another watch! I feel the same way about a lot of what you mentioned, particularly how refreshing it is to see niceness celebrated so proudly in the film. 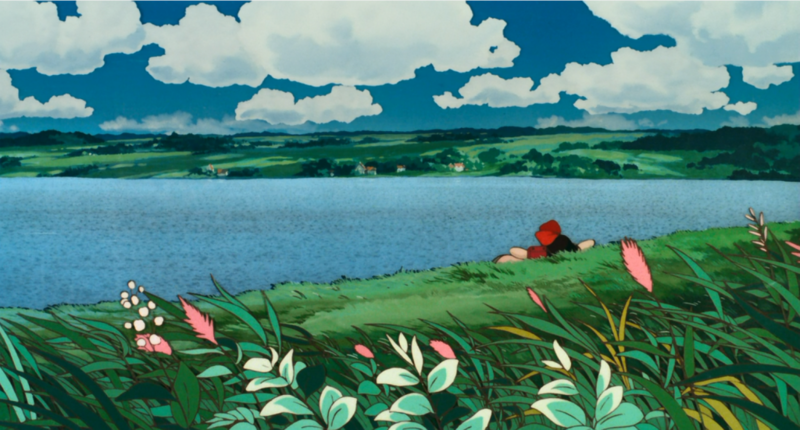 Given your deep knowledge of Miyazaki’s work, I’m guessing you’ve probably seen Kondo’s “Whisper of the Heart,” but I think that also touches on many of the themes of self-doubt and passion that you’ve noted here. Both of those are definitely in my top 5 Ghibli movies of all time.